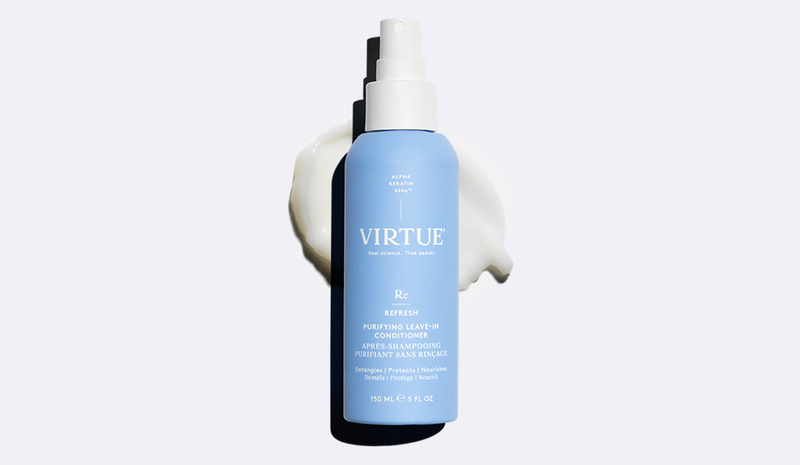 Virtue | Ask Debby, Head of Product Development: Purifying Leave-in Conditioner? Ask Debby, Head of Product Development: Purifying Leave-in Conditioner? Home / Virtue Blog / Ask Debby, Head of Product Development: Purifying Leave-in Conditioner? What is the Purifying Leave-In Conditioner? The perfect partner to our Purifying Shampoo and really, any Virtue shampoo. It's a lightweight, detangling mist infused with our Alpha Keratin 60ku, to nourish hair, enhance manageability, reduce flyaways, and shield against environmental damage leaving hair feeling silky soft. What does the Purifying Leave-In Conditioner do? The key to a great detangling product is for it to provide optimal slip to ensure things go particularly smoothly and without snarls. Our Purifying Leave-in Conditioner is the best product for hydration, protection, and to detangle hair weightlessly. Why did we create the Purifying Leave-In Conditioner? In our minds we created this super light hydrator to live side-by-side with our Purifying Shampoo so that once your hair is super clean and “reset” for the week, you can follow it up with a clean conditioner -- start the week off fresh. With that said, this product is an amazing multi-tasker, you can use it daily to not only condition, but detangle (great for kids), refresh curls and reduce friction amongst strands that lead to flyaways and static. Who is the Purifying Leave-In Conditioner for? We see this for a wide range of clients/consumers. Children for detangling. Curly hair to refresh the spring in their bounce. Fine hair because its lightweight. And those who need extra protection from the environment. It’s also a great base before styling, provides that light kick of hydration pre-heat styling. How do you use the Purifying Leave-In Conditioner? It's easy, just spray a light mist throughout towel dried hair and style as desired, it serves a great base for styling. Because its so lightweight, it's easy to add and layer other Virtue stylers on top.